Imam Rauf, of the Cordoba House/ Ground Zero Mosque/ Park 51 /Prayer Space. Who is supposedly no longer associated with the multi-named community facility, is a self-professed proponent of Sharia Law and Finance in the United States. 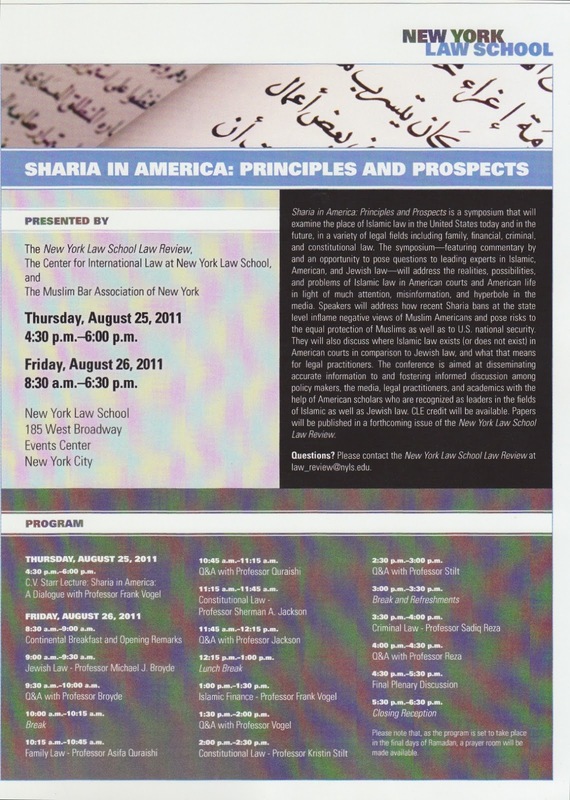 We were particularly interested in the recent NY Law School Law Review's "Sharia Law Symposium" since this movement to make the U.S. Sharia Compliant by organizations like CAIR and MAS is going full-bore. They continue to push their bridge building narrative on all levels of our society. This symposium was primarily a two day commercial for Islam. As we lead up to the 10th Anniversary of 9-11. Take Heed. Thursday Afternoon. August 25, 2011. 4:30 PM. 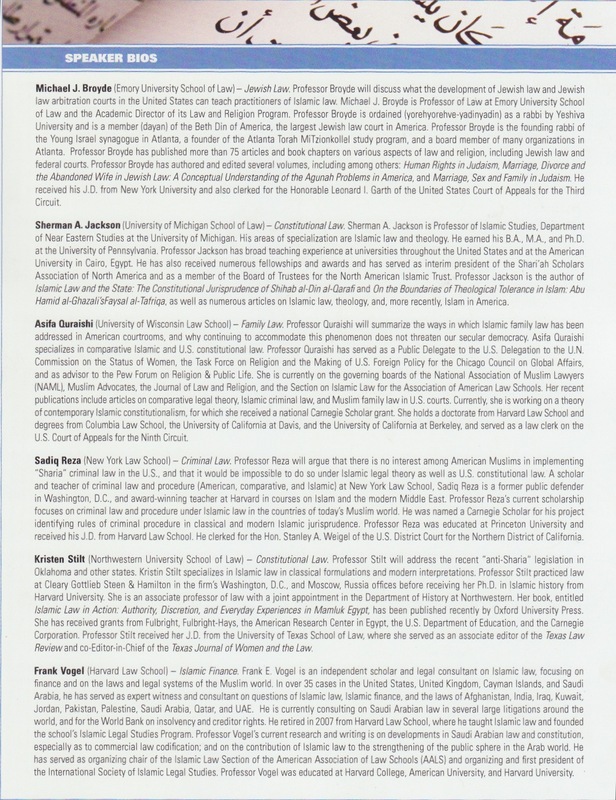 NY Law School Law Review and a 90 minute history lesson of Islam and Sharia. 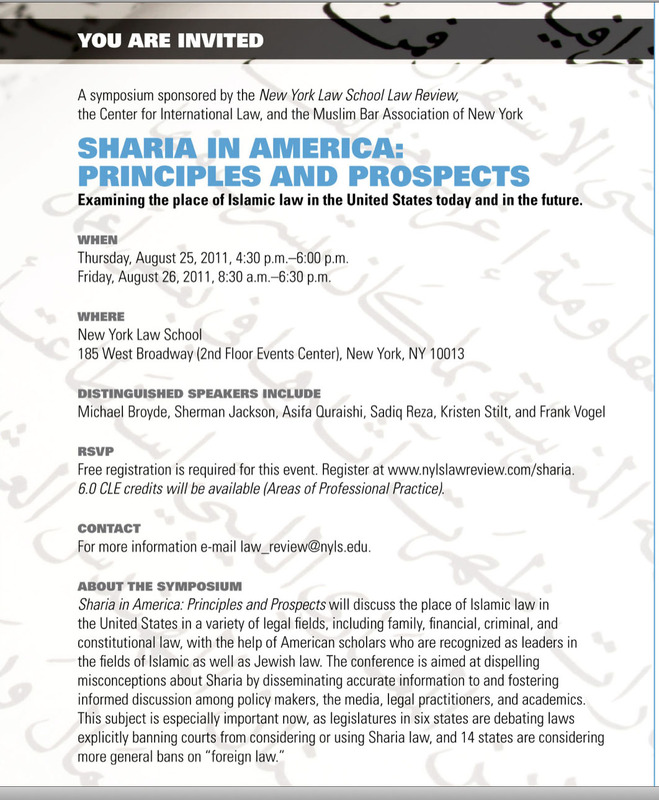 This precedes the actual "Sharia Law Symposium". Next day, Friday the 26th, we would gathered from 8:30 to 6:30 PM. Our only speaker Thursday evening was Frank Vogel of Harvard Law School, an independent scholar and legal consultant on Islamic law. Sharia Law in America. How it affects women. Family Law. Sharia Finance. 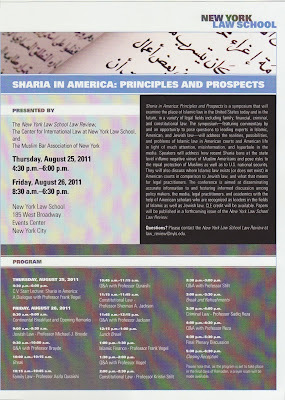 Some info I perused before attending recommended some extra reading on this New York Law School Symposium on Sharia in America: Principles and Prospects . The speakers were expected to touch on the anti-Sharia legislation being passed/considered in a number of states. Speakers included Kristen A. Stilt of Northwestern and Asifa Quraishi of Wisconsin. The latter’s bio indicates she’s working on a project entitled: Lost in Non-Translation: What’s Missing When We Say Shari’a and Why It Matters for Feminism, Human Rights and Constitutionalism at the moment. Her Spring 2011Columbia J. Gender and Law article entitled “What If Sharia Weren’t the Enemy? Rethinking International Women’s Rights Advocacy on Islamic Law” on SSRN is here." Personally, I expected more discussion on how Sharia affects women but unfortunately, by the end of the symposium on Friday, that topic had been glossed over. 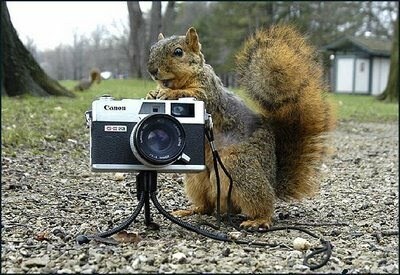 There will be a complete video posted on their web site at a later date. Next, a few of the statements Vogel and the audience made that I had put in my written notes. 1. Sharia is God's Law. A Religious Government Law for a majority of Muslims overseas. 2. Vogel has trolled the Internet looking for the alleged Calls-for-Sharia in U.S.
Claims he can't find anyone doing this. 4. 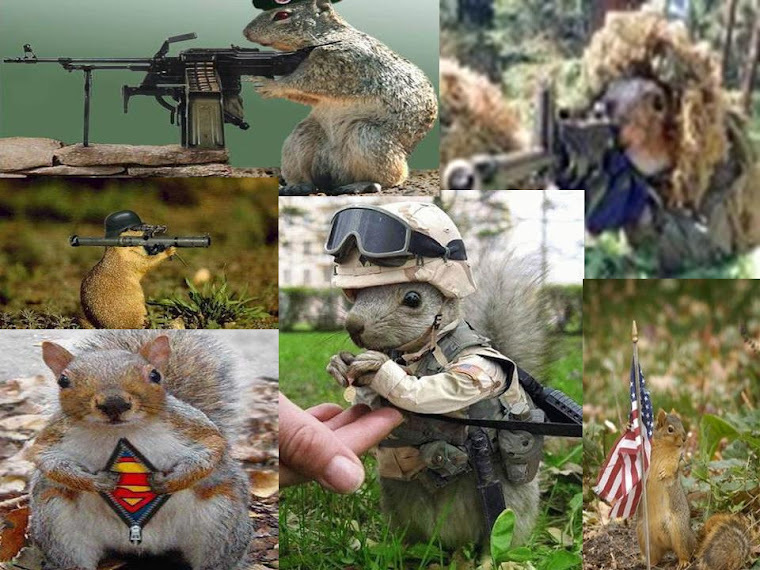 Exaggerated fears of it coming to U.S. Ludicrous to be concerned. 5. His purpose is not to apologize nor advocate. Just "telling it like it is"
There were a few audience questions before we left at 6:00. they were not on mic. 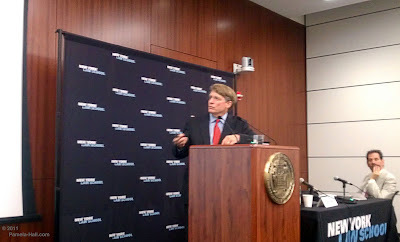 Vogel: There are striking similarities between Roman, Civil, Common and Sharia Law. Iran the largest of any Muslim Countries using Islamic Finance. Mubarack prevented Sharia Finance in Egypt, but now ( and this was put forward as a good thing) There is an opening for Egypt to have Islamic Banks. A success for Islam. Part 1: Thursday Evening Audio with the Power Point slides (first slide is at 1:51) FYI: There will be occasional audible rustling as recorder was on a table. Also, the short Q and A at the end, the audience was not on mic but you should be able to hear almost everyone. 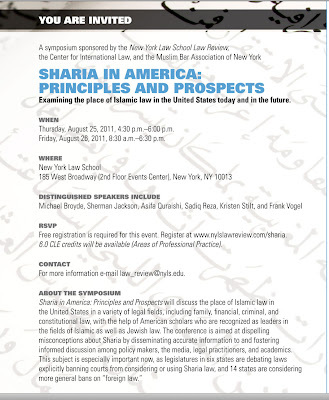 AND please, follow link below to a fabulous article on the symposium written by Alyssa Lappen "Sharia Lobby Shifts into Fifth Gear"